All Street homes currently listed for sale in Street as of 04/24/2019 are shown below. You can change the search criteria at any time by pressing the 'Change Search' button below. If you have any questions or you would like more information about any Street homes for sale or other Street real estate, please contact us and one of our knowledgeable Street REALTORS® would be pleased to assist you. "Custom built all brick 5 bedroom 4.5 bathroom home on a pristine and serene 5 acre wooded private lot. Features include high and lofty ceilings, exquisite trim package, hardwood flooring, open floor plan and oversized windows that provide beautiful natural light. Main level features include gourmet kitchen, two story family room with brick fireplace, large formal dining room, expansive living room, study/library with custom built-ins. First floor master suite with large walk in closet and bathroom. Upper level includes 3 bedrooms and 2 full bathrooms. Lower level is walk out level to outside with large recreation too, fireplace, wet bar & wine cellar. Optional 5th bedroom with full bathroom in basement. Charming outdoor oasis with beautiful landscaping. 3-car garage attached side garage. Convenient location that is close to many community amenities, shopping & dining. Country living at its finest! A must see!" "Amazing views and the sweet sounds of nature set this approx. 3700 sq. ft brick colonial apart from the rest! A perfect 10+! 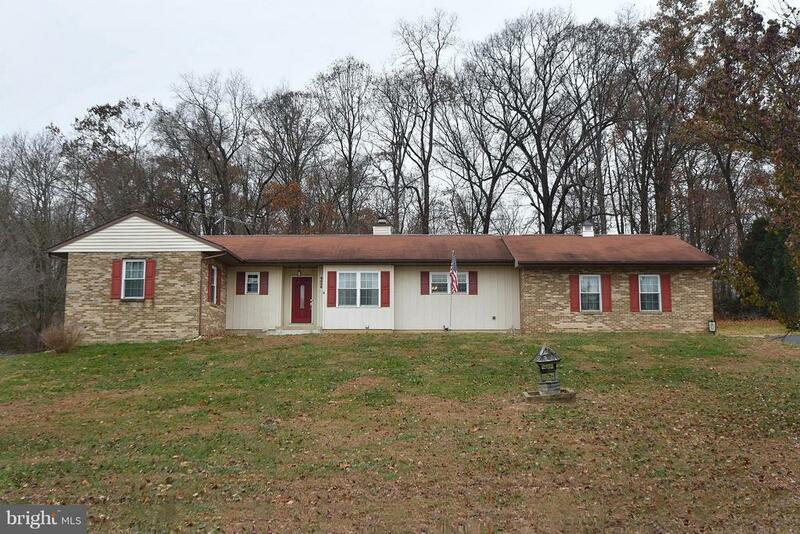 Enjoy your gently rolling 2 acres overlooking preserved land and beautiful pond. Dove Hill Estates is an elegant community of only 5 luxurious homes.This lovely home is meticulously maintained and sparkles from top to bottom. Main level offers open floor plan, dramatic two-story foyer, custom moldings and trim, gleaming hardwood floors and neutral color choices. Formal living and dining rooms lead into huge gourmet kitchen w/ granite, stainless and 42 in cabinets. Kitchen opens to cozy family room with pellet stove. Bonus sized pantry, laundry room and powder complete this level.Upper level has two master bedrooms on either end of home. 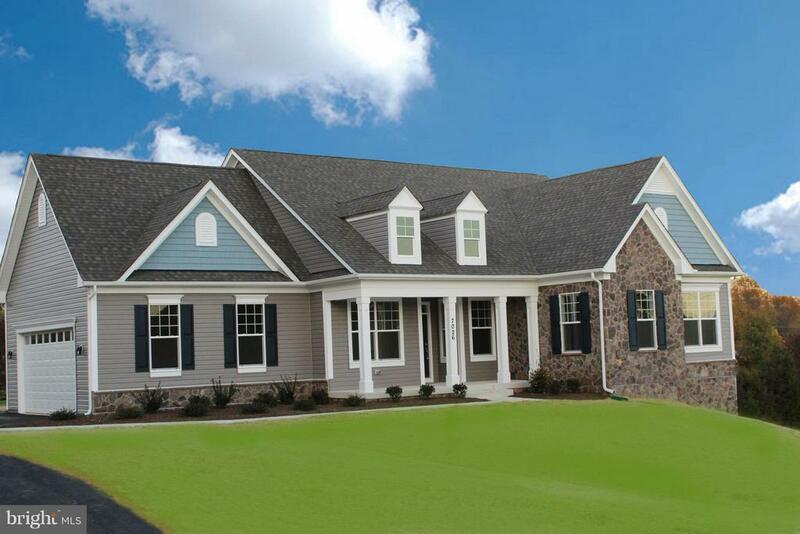 Master 1 has oversized suite w/ gas fireplace, luxury spa bath and room sized walk in closet. Master 2 has full bath and separate sitting room with scenic views. Also enjoy 2 additional large bedrooms and hall bath.Finished lower level is wide open for ideas and your own designs/activities. Possible 5th bedroom or office+ separate entrance and full bath. Set up with refrigerator, sink, cabinets and counter space for in-law suite or just for entertaining.Home has dual zoned HVAC, extended two car garage with bonus area, fully walkable attic and plenty of storage on every level." "OPEN HOUSE SUNDAY 4/7/19 12:00 NOON TO 2:00 P.M. -- Elegant and Sophisticated Residence with excellent spaces for entertaining. This serene and peaceful retreat sited on a corner 1.32 acre lot boasts spectacular scenic vista views in Woodshire Village. 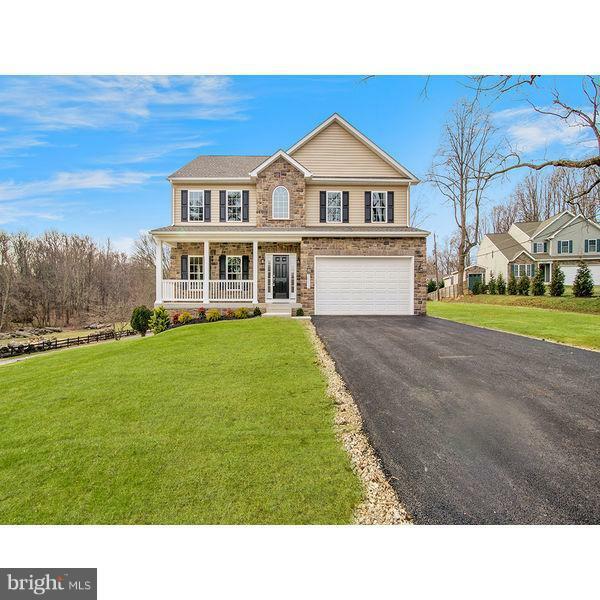 This gorgeous Colonial features four fully finished levels and a three car garage, with a perfect au pair suite and almost 6000 square feet finished living space in total. Enter the two story foyer to a exceptional floor plan design and notable features of 9 foot ceilings, dual staircases, hardwood floors, crown molding, columns in family room and owners suite, only to name a few. The main level features a formal living room/office or study, formal dining room, massive kitchen that is a cook~s delight, warm and cozy family room featuring a fireplace and wet bar, garage entry to the mud room with dual staircase leading to the upper level. The main level outdoor entertaining space encompasses a trex and vinyl deck with ample dining and seating space perfect for a spring, summer or fall day. The finished lower level of this grand home encompasses a recreation or gathering space, potential media and/or theatre room, exercise room and full bathroom. The French door and full sized windows provide ample natural light. The lower level walk out leads to the hot tub and fully fenced salt water in ground pool. Upper level #1 of this home features an owner~s suite with an adjacent sitting area and dual sided gas fireplace. The owner~s spa bath is a private retreat with soaking tub, gas fireplace, shower, dual vanities and walk in closet. An additional three bedrooms and two full bathrooms are located on this level as well. The laundry is located on upper level #1 in a separate room for convenience. Dual staircases lead to upper level #1 from both the foyer and/or the mudroom area at the garage entry. 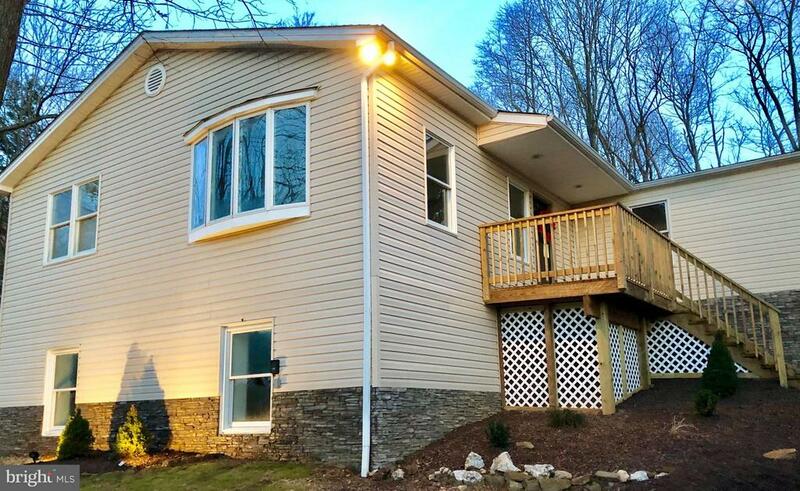 The very unique upper level #2 is accessible by a private staircase leading to fully finished third level that is "
"A rare find in northern Harford County. 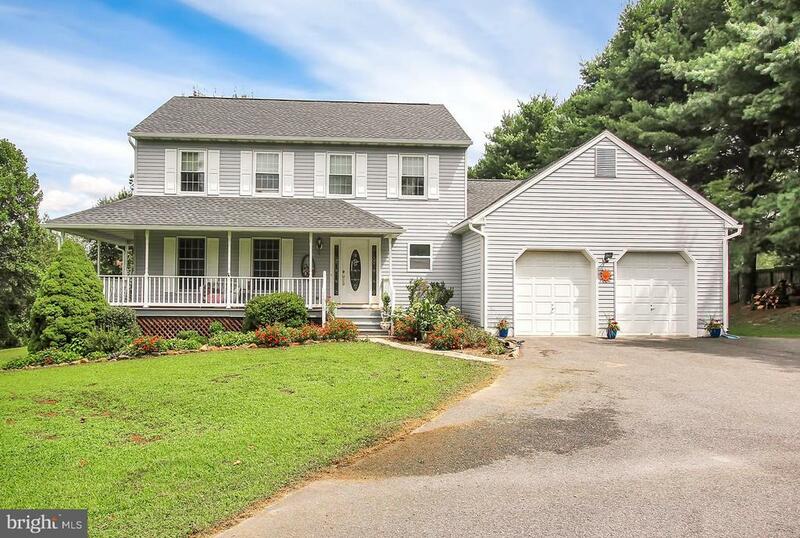 Immaculate colonial that shows better than a model. Pride in ownership galore. Gleaming hardwood throughout this spacious colonial that includes an updated kitchen with new stainless appliances. Venture out onto to a large trex deck with a screened gazebo for your summer entertainment, This home boasts a large 30x40 pole barn/garage with a 12' ceiling and 10x18 garage door. The property includes a private setting with a stream and bridge access to the remainder of the lot. 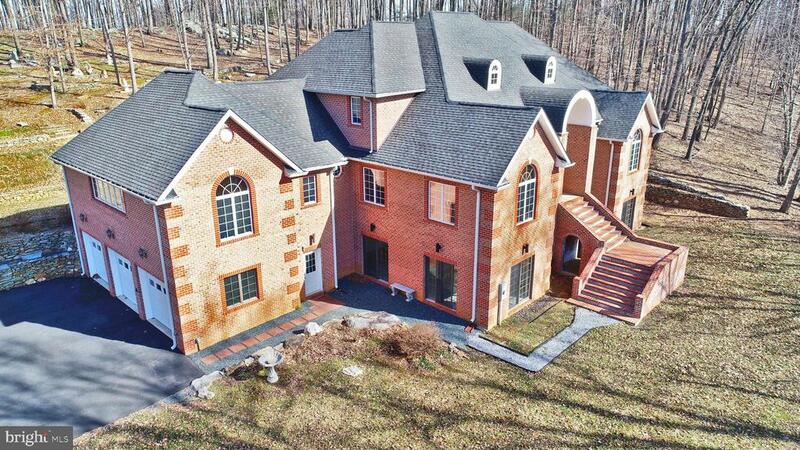 You will not find a more serene setting with reasonable access to Bel Air, Towson and the surrounding area. Pride in ownership and impeccable upkeep make this home an easy choice. It won't last long, schedule your tour today!" "TO BE BUILT*Gorgeous Affordable Custom Rancher on over 2 Acres*Adjacent to Golf Course w/ Amazing Views! *Enjoy One-Level Living and Exceptional Quality in this 3 Bed/2 Bath beauty. Base price includes Gourmet Kitchen, Granite Island, Stainless Appliances, Great Room w/ Gas FP, Master Suite w/ Luxury Bath + MORE! Optional Sun Room, 2nd floor or finished basement! Photos are of similar model." "NEW HOME TO BE BUILT! PLENTY OF TIME FOR CUSTOMIZATION! IDEAL PARTIALLY WOODED LOT OFF PRIVATE DRIVEWAY. STANDARD FEATURES INCLUDE MAIN LEVEL 9' CEILINGS AND HARDWOOD FLOORS, STONE FIREPLACE, GOURMET KITCHEN W/ GRANITE COUNTERS & STAINLESS APPLIANCES. LARGE BEDROOM SIZES W/ OVER-SIZED WALK-IN CLOSET & LUXURY BATHROOM. 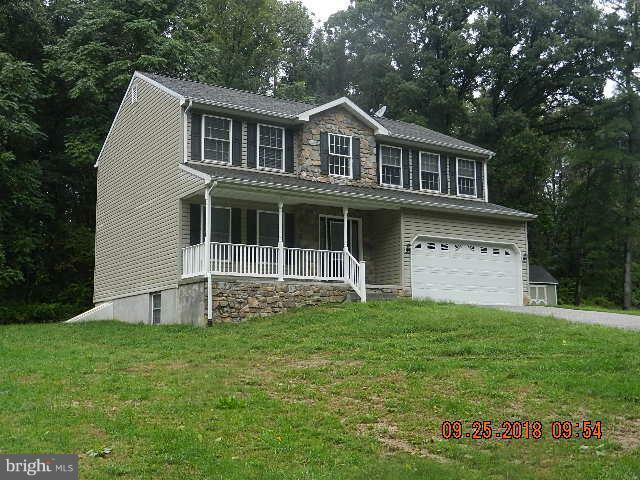 LOADED W/UPGRADES AT THE LIST PRICE! TWO ZONE HVAC, TANKLESS WATER HEATER." 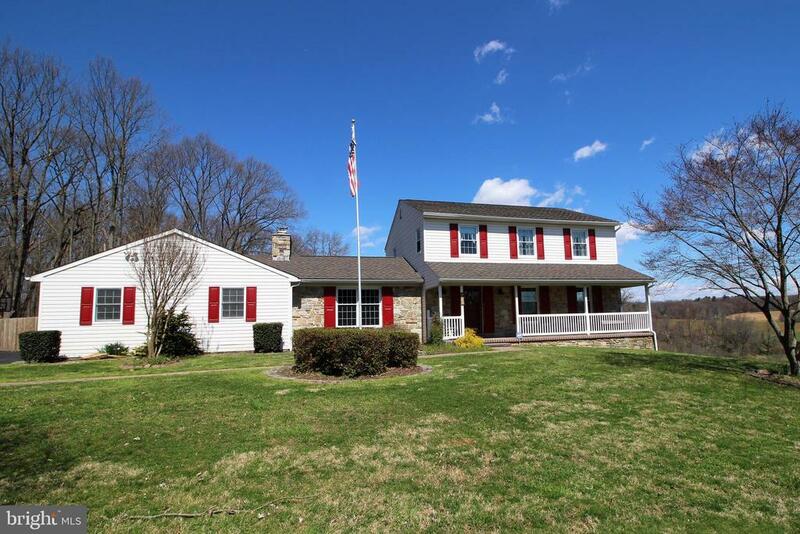 "Privacy abounds in this northern Harford County home on 5+ acres with beautiful updated 4 bedroom, 2 full 2 1/2 bath colonial! Spacious kitchen and family room with wood stove. Lots of upgrades make this the perfect home. Wrap around front porch, back patio with hot tub and rec room with pool table in the basement makes this a wonderful family home. Home warranty included. 2 attics. NO HOA." "100% Financing Available! 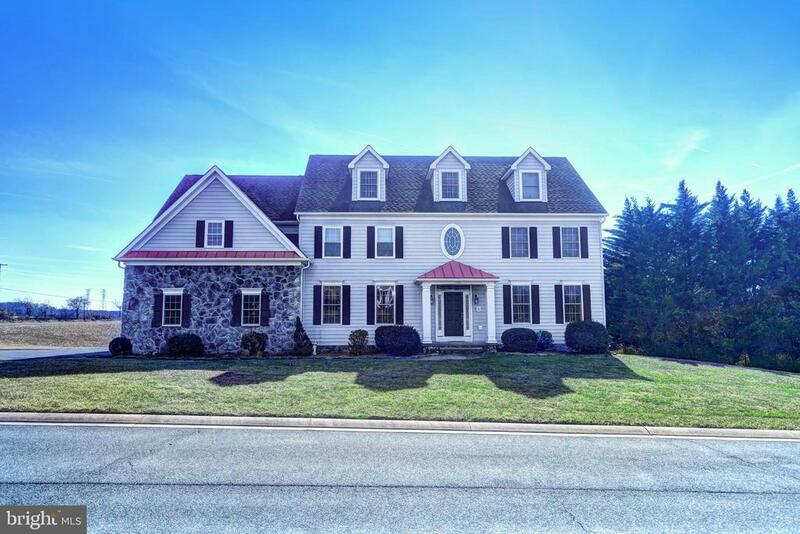 Enjoy beautiful North Harford views form your front porch, living room, back yard or while relaxing in the pool! Sunrises are absolutely stunning and the seasonal landscape is to die for! This home offers... Welcoming front porch w/ swing- Huge living room w/ picturesque bay window- Family room w/ cozy wood burning stove- Hardwood floors- Large eat-in kitchen- Newly renovated main level laundry/mud room w/ custom cabinetry and even a built-in dog washing station (2016)- Updated hall bath- Updated master bath (2019)- His & hers closets- Finished lower level rec room w/ full bath & french doors to patio- Spacious 25x25 2 car garage. Dreamy backyard oasis features extensive hardscape & 45,000 gal saltwater pool!!! Partially fenced 3.2 acre lot backs to trees & adjacent to pastoral views! Geothermal heat & air conditioning system for major energy savings (2017). Updated hot water heater (2018). Tucked away on a quiet country road just off #543. Don't let this one slip away!! Immediate Occupancy!" "~Priced To Sell!~Home Sweet Home, and ready to meet it's new owners! 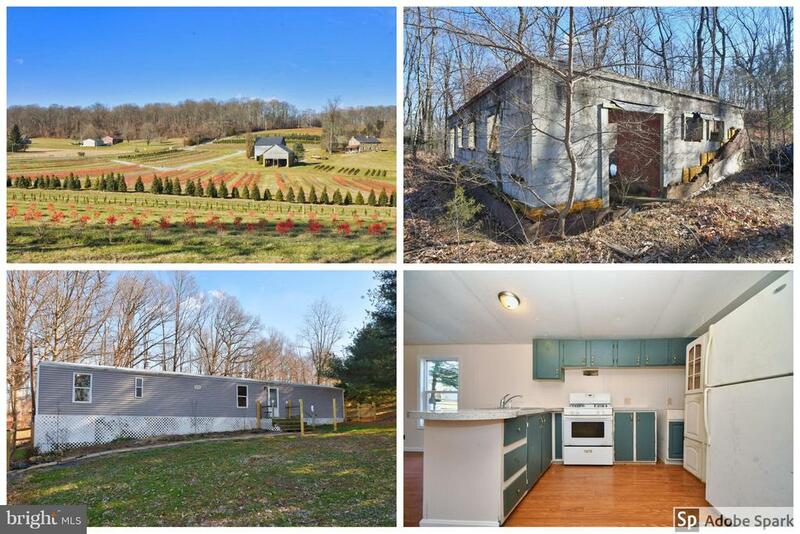 This charming home is situated on slightly more than an acre of land. It offers many new updates, including HVAC, well-tank, hot water heater, pool liner, all flooring throughout, and more! All kitchen appliances are S-Steel and brand new, includes gas cook-top, electric double oven, dishwasher, and refrigerator. 4 bedrooms, 3 bathrooms, with an office/den/5th BR, Large living room, large club room; all decor is neutral. Spacious rear deck overlooking the 20'x40' inground pool (new pump w/ 2 year guarantee). Great place to raise a family. The schools for this property are excellent, from grade school to high school. Also included with this home is a 2 year Home Warranty." "Note - no heat - electric is in service - no sign. Be sure to look at the documents! Fabulous creek front farmette - unique 1000 sq. ft. circular home built into the hillside; 4-stall barn; tractor shed; run-in shed; 1000 ft. frontage on Broad Creek; 3 1/2 ac. 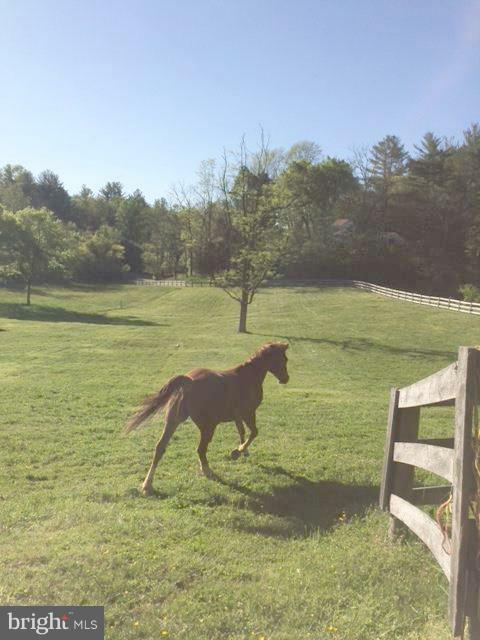 fenced pasture; 1/2 ac. pond. Includes 2 home sites - 10+ ac w/improvements PLUS 5+ ac with current perc test. Nestled among AG Preserved Land. An excellent site for your Country Home! See Documents for additional information." "Fabulous creek front farmette - unique 1000 sq. ft. circular home built into the hillside; 4-stall barn; tractor shed; run-in shed; 1000 ft. frontage on Broad Creek; 3 1/2 ac. fenced pasture; 1/2 ac pond. Includes 2 home sites - 10+ ac w/ improvements PLUS 5+ ac with current perc test. Nestled among AG preserved Land. An excellent site for your Country Home! see Documents for additional information." "Immaculate Custom built Rancher on over a acre of land, in a beautiful country setting, with a 2 car garage.3 large bed rooms , 2 full baths, lots of closet space.2 spectacular brick fireplaces, 1 in the living room & 1 in the family room. Many updates, including new windows & new HVAC system. Must see to appreciate !!!" "Perc test failed. Studies needed to determine the type of system needed. Price reduction! Buyers to complete necessary septic corrections. Property being sold AS IS Nice 3 BR stone front colonial, entry foyer, LR, DR, large country eat in kitchen with sliding glass doors to deck. large Master Bedroom with walk in closet, full bath with soaking tub and separate shower, separate laundry room on 2nd floor, full unfinished basement and a 2 car garage all located on 0.59 acres with shed. No HOA." 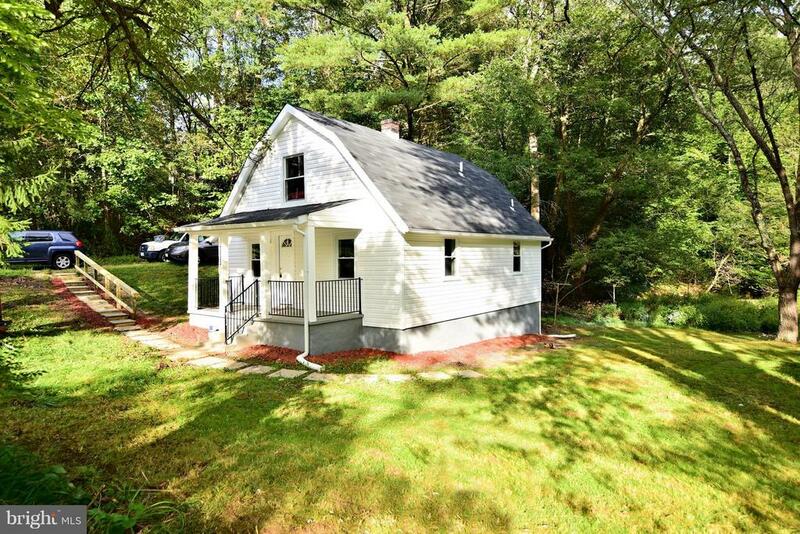 "Charming and beautifully renovated 3 bedroom 2 full bath Cape Cod. The home features a gourmet kitchen with granite counters, stainless steel appliances and ceramic tile flooring, two main level bedrooms, upper level master bedroom suite, engineered hardwood flooring throughout, new front loading washer and dryer, new siding, front porch, new septic system with a $1,500 buyer allowance to septic company of choice for holding tank pumping services, and much more on 2.26 acres. 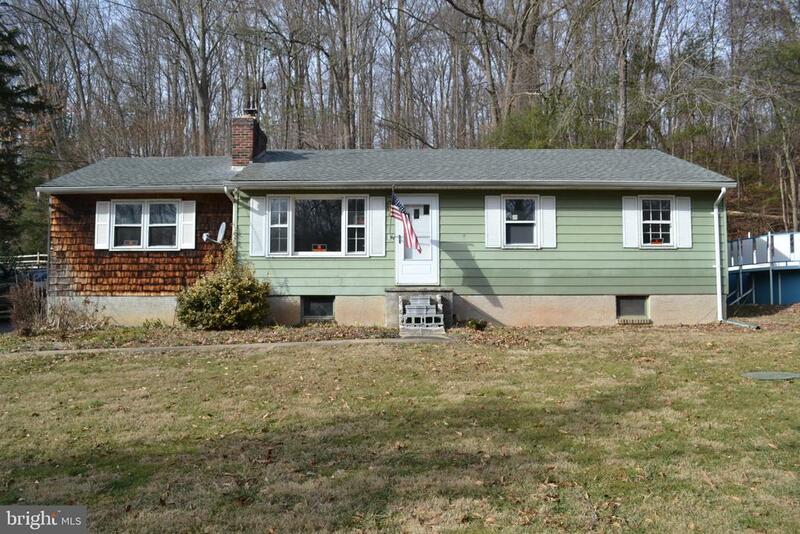 Good location for commuters to PA, Aberdeen, Baltimore and beyond." "Amazing opportunity! Beautiful scenic area with nursery across the street. Over 2 1/2 acres of land! Mobile home w/3 beds and 2 full baths. About an acre of cleared land that's partially fenced. Plenty of off street parking (at least 4 cars & room for a camper). Foundation from previous home exists, buyer to verify if build-able. Could be a great opportunity to live in the mobile during construction of your dream home! Property may be eligible for USDA loan. Inquire with a qualified lender." "VALUE IS IN THE LAND incl. $ 18000.00 marketable timber! House has been vacant for more than 5 years - enter at your own risk. 7 ac. 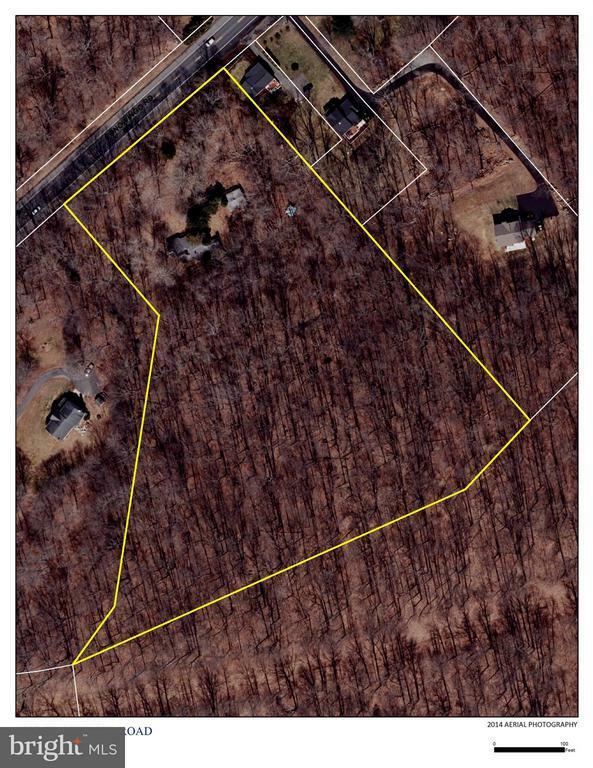 wooded home site w/existing 1300 sq. ft. rancher w/1 car att. carport plus 2 car garage. Value is in the land! Exist. septic system rated for 3 BR. Mature timber - harvest value $ 18,000+. Exist. driveway - 4WD or walk, only. Elec & Tel at site. No impact fee * No HOA * No restrictions. Enter at own risk. Complete Hold Harmless Waiver prior to entering dwelling. See Docs"